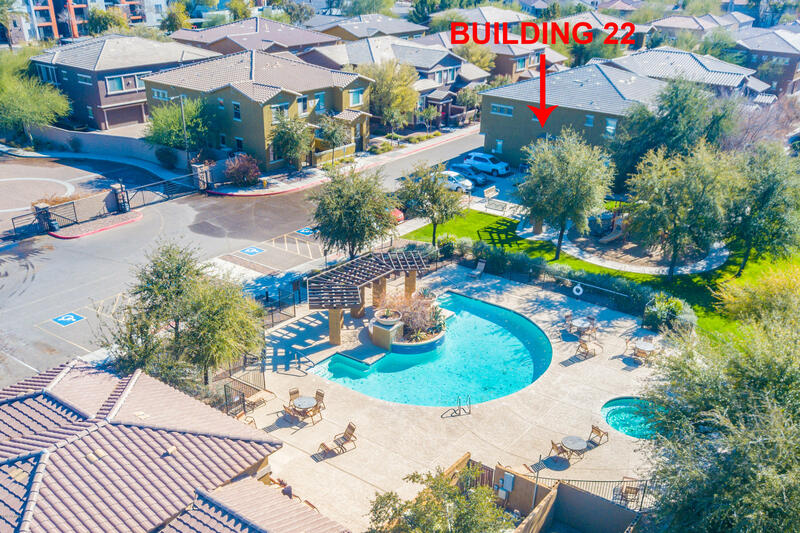 Beautiful condo in Townsquare at Sierra Verde, a 2 bed 2 bath with a GARAGE and additional assigned carport space! Inside you will find an efficient, open floor plan, neutral tile in all the right places, carpet in bedrooms. The kitchen features black appliances, pantry, and breakfast bar overlooking the family room. The master features double sinks and separate toilet room. This unit is very clean, move-in ready, and conveniently located close to the clubhouse, pool and park. Furniture is available on a separate bill of sale.